I can recall the moment I met the artist Teresa Oaxaca with absolute clarity. It was October 2013. 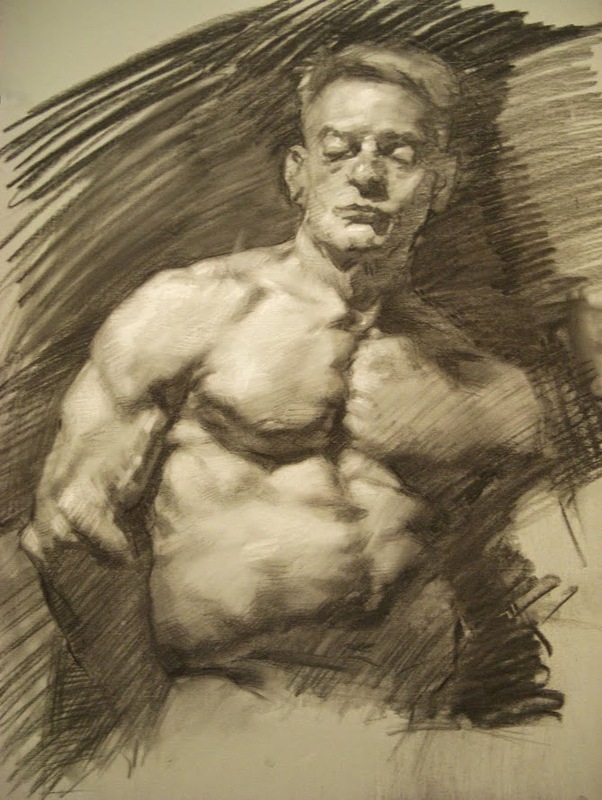 It was the end of my first week at The Florence Academy of Art. And I had just arrived at my first student soirée, trying not to look too puffed out from climbing more stairs than I care to remember. There Teresa stood, with iPad in hand, holding court. Captivated students crowded close by. From a distance I could not see the images of paintings that flew across her screen… rather I wondered if she were some kind of Baroque-born yet Victorian-dressed apparition. For she wore a tailor made gown with a tight corset and full skirt. Her hair was piled atop her head with whispy tendrils running down. Teresa Oaxaca with a selection of her paintings. Teresa is a force. She traces her unmatchable drive back to advice received from the artist Jacob Collins. Quoting Edison, he told her that success is just 10% inspiration and 90% perspiration. And, art was always her ambition. Having seen a calendar of Michelangelo’s works, Teresa would ‘daydream about [the] Sistine Chapel Frescos' whilst still in Kindergarten. With access to ‘watercolour, drawing materials and sculpey clay’, her childhood was spent ‘drawing, painting and sculpting from imagination’. This was not an academic interest, but her ‘identity’. An identity which many of her friends and classmates were unaware of. Teresa’s academic pursuit began when she was just thirteen years old. The Metropolitan Museum of Art was holding an exhibition of Leonardo da Vinci’s works. Teresa came across a selection of his sketches in a newspaper and from that moment, wanted to learn ‘everything’ about the Renaissance and their methods. So, in 2005, at the age of seventeen, Teresa moved from Washington D.C. to Florence, Italy. 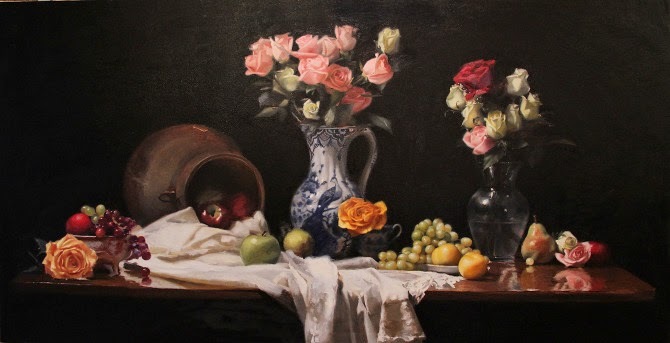 She began her traditional training at the Angel Academy of Art and later continued at The Florence Academy of Art. All the while, her weekends were dedicated to the study of anatomy as she committed our internal structures to memory. 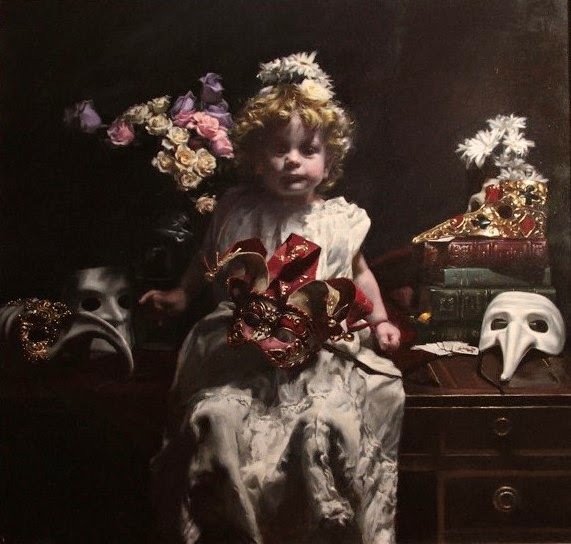 With this unrelenting determination, for which she is well known, Teresa even spent one summer holiday apprenticing with the renowned Odd Nerdrum in Stavern, Norway and upon graduation studied with Robert Liberace at the Art League in Old Town, Alexandria. Since returning to Washington D.C, Teresa has been developing an unprecedented portfolio. Described by Jeffrey Carlson as ‘nostalgic, colourful and unmistakable for their presence’, Teresa’s consciously elaborate compositions are evidence that a traditional academic training does not pigeonhole an artist to the past. In fact, Teresa’s artistic voice has become so strong that she is now sought out specifically for her style. 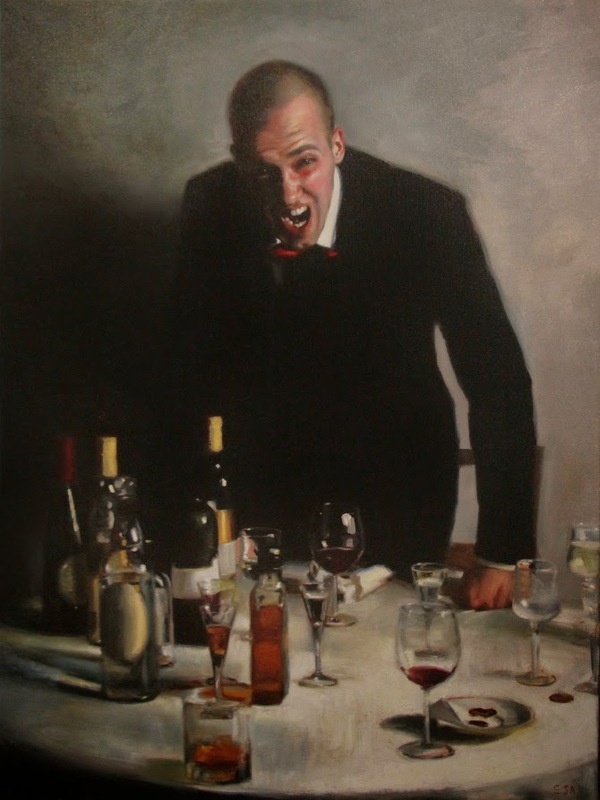 She recognises that the very act of commissioning a portrait is a leap of faith and so, once the pose and scale have been agreed, Teresa prefers to take complete control thus ensuring that she remains true to her artistic vision. Everything Teresa owns can be found within her studio and informs her work. 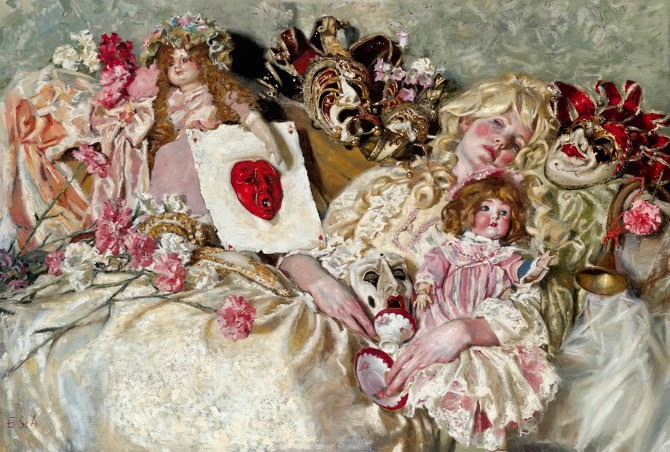 Her daily dress, in past historical fashions, was born from the desire to ‘feel at one with [her] artistic inspirations.’ She also collects a range of objects such as antique dolls, skulls and Venetian masks for the ‘art eras or ideas they may represent’ and inspiration they offer. Therefore, each patron’s heirlooms, be it costumes or props, provide new, unexpected inspiration and make for a unique image. Even the sitter ‘occupies a space’ in Teresa’s mind. They will take tea together, Teresa’s current favourites being Orange Pekoe and Pu-erh, so that she may capture more than just a physical likeness. Although often intimidating at first, Teresa finds that commissions can be incredibly rewarding. However, a word of caution. Teresa’s advice to us less experienced artists undertaking first commissions is to focus on portraits alone – even if you are capable of more. Teresa is particularly drawn to antique dolls for a variety of reasons. From the existence of such figures from the ‘very roots of human civilization’, to their ‘variety of purposes’ and for the range of ‘expectations’ with which they were bestowed. And more specifically still, because Teresa’s collection of dolls from the 1800’s have ‘witnessed the 19th century’: a period of art that she holds most dear. This perhaps is most evident in her Jumeau doll from 1879 whose face was modelled by the renowned sculptor Carrier-Belleuse! Unsurprisingly, travel ‘fuels’ Teresa’s art. During a four month ‘entirely self-guided’ tour of Europe, Teresa was able to study Old Master paintings that she had previously only read about. She also visited as many antique shops and churches as possible; often finding that ‘the sound of an organ coming from within was enough to stop [her] in her tracks’. Adamant that there is always more to learn, Teresa has continued her training by making sketches and reproductions of masterpieces in situ. On her journey through Europe, Teresa visited London, Brussels, Hamburg, Luneburg, Copenhagen, Eksjo, Stockholm, Mora, Gothenburg, Lund, Malmo, Berlin, Prague, Kutna, Hora, Vienna, Budapest, Switzerland, Florence, Venice, Munich and Amsterdam. After weeks of working furiously in the solitude of her studio, this trip allowed Teresa’s ‘brain to restart’. In the future Teresa hopes to visit Poland, Southern Germany and Austria in search of Late Medieval Retables as well as spending time in Italy and France. However, if she could visit any museum with any artist it would be the Petit Palais, Paris with Aime Nicholas Morot, 1850-1913, of whom so little is known. There hangs his ‘masterpiece’ The Good Samaritan. Since returning from Europe, Teresa has had the confidence to ‘load the palette with more paint and experiment with a great variety of edges and paint textures’. 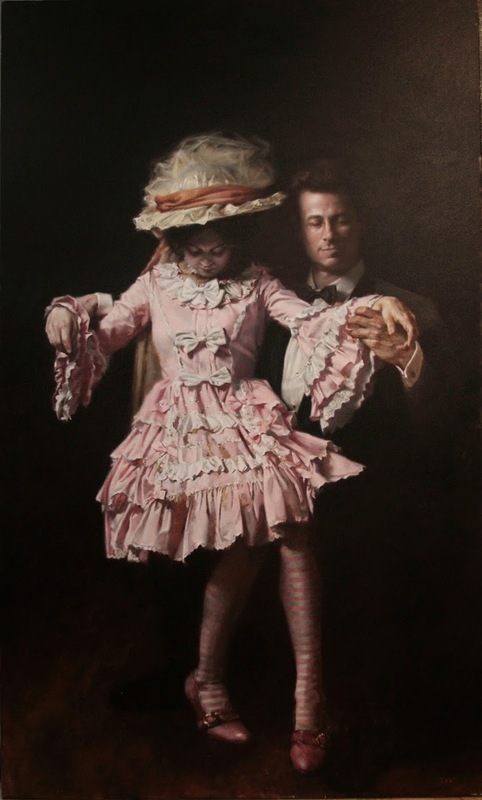 Her work is about ‘pleasing the eye’ and she delights in ‘unusual pairings of subject matter.’ With recurring motifs of cherubim, dolls, clowns, still life and the exploration of portraiture, neo-baroque and chiaroscuro, Teresa’s works are unified by her confident rendering of form, line, gesture and structure. Teresa hopes that one day she will be able to share her knowledge and experiences with generations of younger artists. It is her ambition to build a studio ‘which would double as a home and living quarters for apprentices in the future.’ With well over 6,000 followers on Instagram and more than 3,000 friends on Facebook, finding willing candidates will not be a challenge. So, Teresa is fighting back. Just last month, she undertook an ‘intense’ live painting demonstration at the Principle Gallery, Alexandria which was also broadcast online. Using the sight-size method, Teresa spent four hours painting before an audience of ‘artists and art appreciators, children, and families, and people walking in off the street’. Teresa also strives to make her work accessible through social media, posting regular updates detailing her materials, techniques and process in her online Drawing and Painting Journal. It’s certainly inspired me! If you would like to find out more about Teresa and her work, watch digiQualia’s recent interview by clicking here. Great article Poppy and I wholeheartedly agree with the comment regarding ‘poor urban planning and the creating of unliveable and unenviable spaces.’ Good for Teresa for addressing this. Our spaces must be more like beautiful piazzas and accessible to everyone and for future generations. Wonderful article - I watched Teresa's Principle Gallery demo online and was completely inspired. She is as gracious a woman as she is talented an artist.